Take a Spin on the Grand Bazaar Slots Game by Ainsworth Free Here. Taking you back to the days of Aladdin, Arabian Nights, or even Ali Baba and the Forty Thieves, Grand Bazaar takes players into the heart of an Arabian marketplace. Filled with images such as rugs, exotic spices and foods, rugs, and of course, thieves, the game has several reels and features that ensure players treasures in troves. This Ainsworth slot game is designed to have three sets of five reels. On each of the reels are the standard numbers and slot figures as well as antique Arabic images and even the genie in the lamp, if you are lucky. Images include jewelry, gem encrusted antiques, instruments, and pointed slippers. Within the five reels are a minimum of 100 paylines and several chances for a free spin. Frequently, these free spins will be multiplied by special wild multipliers in the form of the logo for the Grand Bazaar. When this wild appears on either reels 3, 4, or 5, players can receive multiple prizes and opportunities. Jeweled hands appear on reels 3, 4, and 5, as well and offer payouts from 1, 5 to even 100 times the standing bet at the time. Free Games also appear where players can earn up to 8 extra free spins. When the Grand Bazaar is in full play, there is an option that an extra wild will appear on reel 2. Therefore, there is a chance of stacked wilds that will result in extra payouts and free spins at the same time. Jeweled hands can also result in free spins if you earn more than two of them at one time. The game does not cap how many free spins you can have. What players want to watch out for most is the Grand Bazaar Wild symbol when it appears on the 3rd reel. This is a special reel that can triple any wilds earned at the time. While this is a difficult bonus to trigger, it does happen. Players can play this online slot game for free using coins online or they can opt to pay between .01 cent and 75 dollar bets. There are two different jackpots available and the payout is between 94% and 97%. Several players have commented that if you are lucky enough to trigger the Grand Bazaar on the third reel, the results increase payouts by almost 3 times the amount. 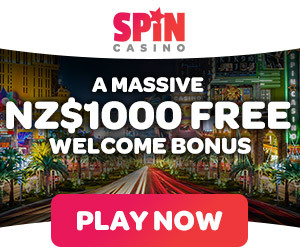 Ainsworth has designed the game to either offer good payouts or enough free spins through the Free Spin feature or wilds with the Grand Bazaar that players can enjoy the game without the worry of losing many of their wagers.